In 2017, The Noakes Foundation (TNF) partnered up with Alex Luther, who is challenging endurance sports nutrition norms by eating a low carbohydrate, healthy fat (LCHF) diet in his attempt to retrace the water-skiing world record set by his late Grandfather, Harry Luther (the Canguro). In this spirit, Alex dubbed his voyage Chasing Canguro. After months of mental preparation and intense physical training, Alex finally caught up with the Canguro. Alex embarked on his journey on 26 June 2018 from Tangier, Africa. With some time to spare on the Canguro, Alex arrived in Pula, Italy on 7 July, 11:00 AM. In total a distance of 3699.3 kilometres was travelled in 10 days, 2 Hours, 17 minutes and 36 seconds (the Canguro arrived in Pula after 10 days, 5 hours and 36 minutes, a total of 5010 kilometres). A truly commendable achievement. As announced in previous blogs, TNF played a part in Alex’s journey in helping and advising him on a LCHF meal plan to maintain him and replenish his fuel stores. TNF dietician, Bridget Surtees, assisted Alex with the meal plan that was reported here . Receiving the great news of Alex’s results, TNF checked in on him to hear how he experienced his journey and the LCHF lifestyle. Preparation for an endurance event such as a 10 day water skiing marathon encompasses more than just fitness in your sport of choice. TNF was interested in what preparations Alex had to make (training and diet) to ensure that he was in peak form at the start of the journey. 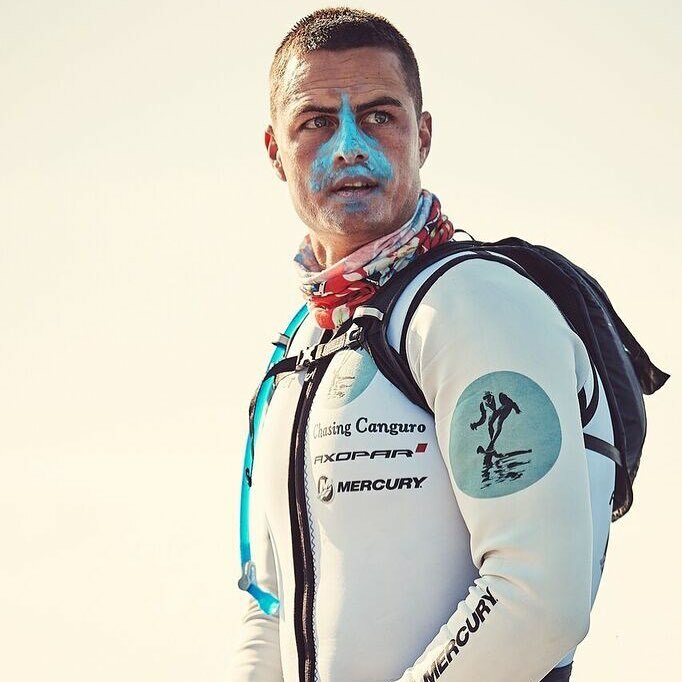 Responding to some questions by TNF, Alex indicated he trained consistently in the lead up to the event, water skiing in Sydney harbour, and off-shore, chasing rough conditions. He said that he had a specific gym programme developed by Australian coach Craig Burton. Alex said that his regime included plenty of long bike rides. Looking at his results, it is clear that this commitment to his training schedule paid off. On the topic of diet and preparation, Alex said he started the LCHF diet / meal plan 12months before the event. This timeframe is interesting. Most current literature on the subject suggests that to become truly fat adapted (the term coined to refer to the state where your body not only effectively uses fat, i.e. ketones, as fuel, but does not require any carbohydrates for energy) would take an endurance athlete around 3-6 months. After this transitioning period, athletes report similar or mostly improved results in their respective sports. According to Alex, the meal plan was very easy to follow during the event, all the foods were very enjoyable and easy to stomach. The variety helped keep things interesting and he always looked forward to refueling. It is clear that Alex’s training placed him in prime position to give his best performance during his journey. Which made TNF curious, what was the effect of the diet on Alex’s performance? 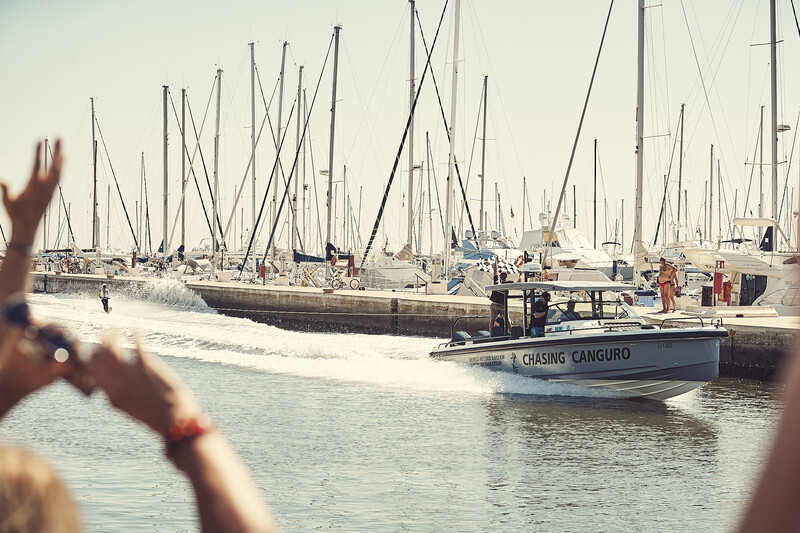 The adventurous grandson of the Canguro, said that he experienced consistent energy levels prior, during and after the event. This is astounding news, as the topic of “hitting the wall” is so popular among endurance athletes that make use of glucose-metabolism, that is has become a household term and internet past-time. Alex remarked that at no stage did he experience a lack of energy and neither was he ever starving for food. What Alex is describing here is exactly some of the key characteristics of being fat adapted. As his body was used to and trained in burning fat for fuel, it easily switched between digested fat and stored fat with absolutely no effect on his metabolism. Resulting in consistently available energy sources and allowing the body to maintain and regulate energy according to activity needs. Further benefits in this way of eating (WOE) with sports and endurance in mind according to Alex is easy intake based on meal types, tasty meal recipes, plenty of energy, minimal weight loss, and most importantly, crossing the finish line! With the metabolism of an endurance athlete, we are sure that Alex’s metabolism could handle a sweet thing here or there. Though, TNF would suggest trying some of the millions of Keto treats/pudding/sweets recipes that are available all over the internet instead. It is therefore of utmost importance for professional athletes who are considering this WOE, do to so with the help of their coaches and nutritionists trained in this field. TNF wishes to congratulate Alex on this remarkable achievement. The Canguro’s legacy lives on with his achievement and we at TNF will keep an eye on this remarkable family for future achievements. As Alex joins the list of top endurance athletes that have achieved great milestones using this WOE, TNF is proud and thankful to have had the opportunity in getting him the fuel that he needs. Alex has been documenting his inspirational progress on his website, http://www.chasingcanguro.com.au/about/index.html. His Facebook page can be accessed athttps://www.facebook.com/ChasingCanguro/.